Last week The Content Marketing Institute and Marketing Prof’s released the fourth annual B2B Content Marketing: 2014 Benchmarks, Budgets, and Trends—North America report. Before you dismiss this report as irrelevant because “what would the yanks know anyway?”, hold up. The report has some very interesting nuggets that are relevant for Australian marketers including the growing emphasis of social media in the b2b marketing mix. It’s fair to say that by now, most b2b marketers understand that social media marketing is more than just Facebook. For those marketing managers still struggling to convince the powers that be, check out what we had to say around this last year. So back to the report. The report has a huge focus on content marketing but the most valuable insights we gathered were the opinions from b2b marketers around social media as well as content marketing. It’s pretty clear that content marketing is on the rise and so is the use of social media for b2b marketing. 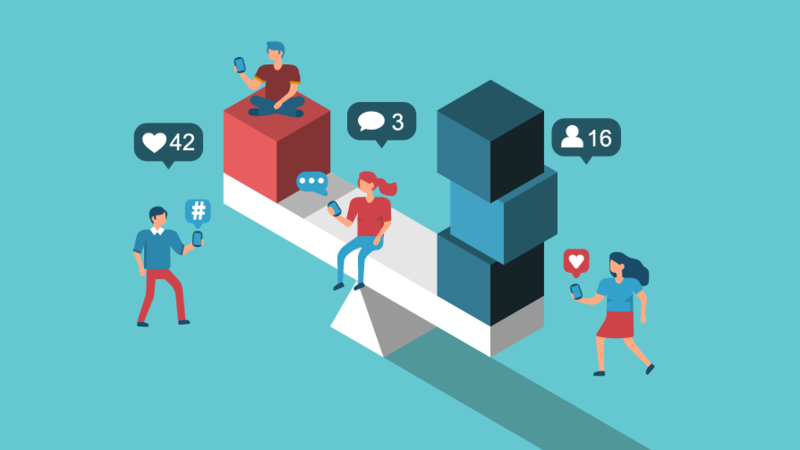 This direct correlation stems from marketers using social media to distribute and share content with different audiences on different platforms. The report finds that social media channels (other than blogs) are the number one tactic for content distribution in b2b. What’s more, b2b marketers are using all social media platforms to distribute content more frequently than they did last year. In addition, they now use an average of six platforms, versus five last year. The social media platforms that have experienced the biggest surges in use, year over year, are SlideShare (40% vs. 23%), Google+ (55% vs. 39%), and Instagram (22% vs. 7%). B2b is getting visual, folks! 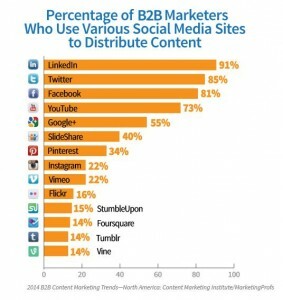 The three main social media players for b2b are still LinkedIn, Twitter and Facebook with 91%, 85% and 81% of marketers turning to these platforms for content distribution. Although the adoption rates of social media are high, there is still uncertainty amongst b2b marketers as to the effectiveness of some social media platforms. 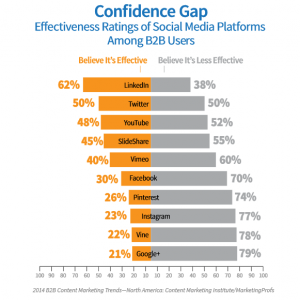 Overall, confidence is high in LinkedIn with 62% believing it is in an effective marketing platform. Large companies (1,000+ employees) consider YouTube to be second most effective, whereas small companies (10-99 employees) say SlideShare and Twitter are second most effective. 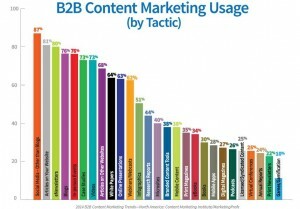 Interestingly, only 30% of b2b marketers believe Facebook is effective; however it’s the 3rd most popular social site. 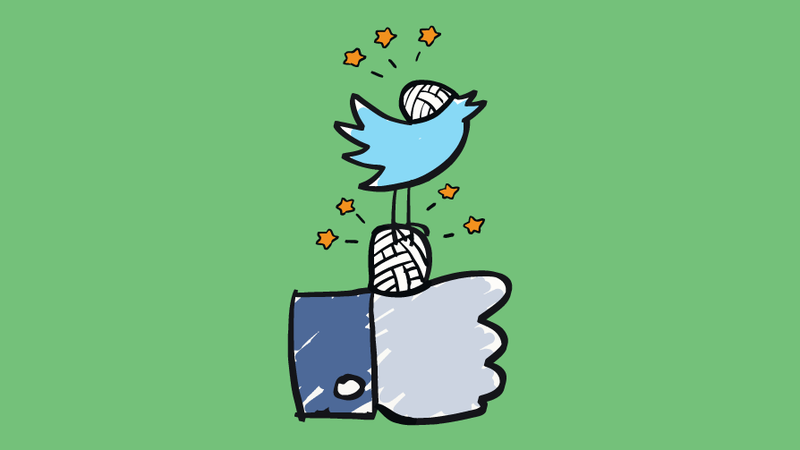 Check out these popular b2b brands that are using social (including Facebook), successfully. 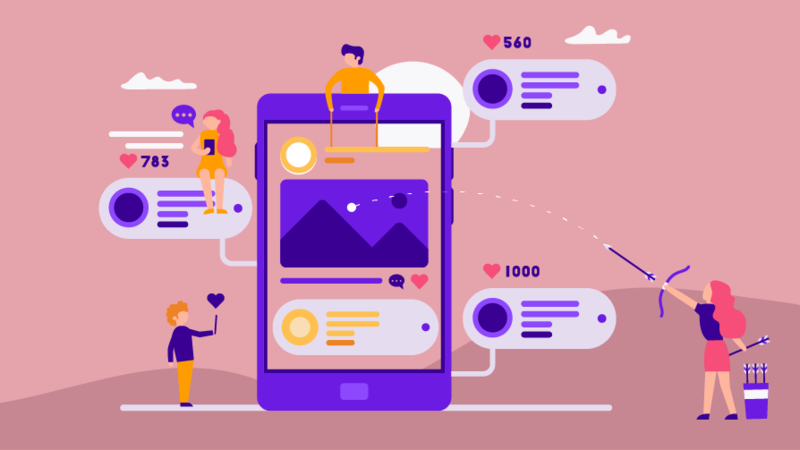 The relationship between content marketing and social media marketing is undeniable, but marketers are still ironing out its effectiveness. If you’re new to content marketing and social, and still finding your social feet – don’t worry, you haven’t missed the boat. 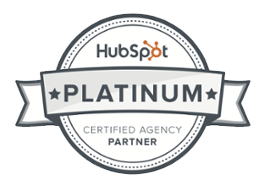 It’s clear that the potential is there and b2b is certainly ready for it. 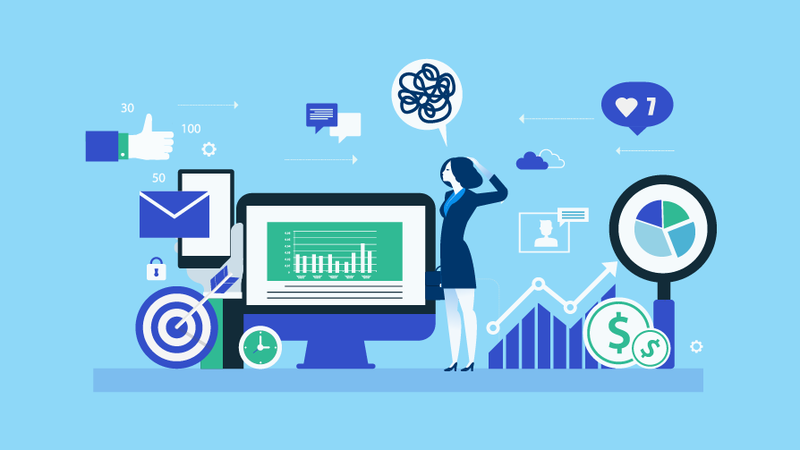 If you'd like to learn how inbound marketing can boost your b2b social media strategy, download The quick-start guide to inbound marketing for technology companies today!